language interface that lets the user modify the way it uses color. In fact, there are 50,000 color choices. Documents can also be printed with 2400 fine point resolution. The 8900 is perfect for businesses that are just starting and need to be able to do low cost color copying. It is also fully capable of connecting wirelessly with other devices in the office. It also supports email, scanning, and faxing documents. It can also handle a massive amount of copying. 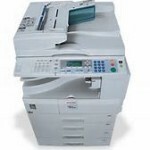 It can handle a cycles of 120,000 copies, or 15,000 a month and 44 copies per minute. It also has nice features like being able to print on both sides of the sheet of paper. Like any Xerox copier, the 8900 can have supplies ordered through their web-based e-Conceirge system so that you can avoid running out of supplies. 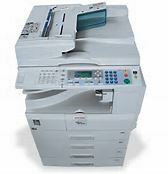 If your Denver area based business is looking to get a great copier like the 8900, give us a call at (303) 586-7704 and we would love the opportunity to do business with you.